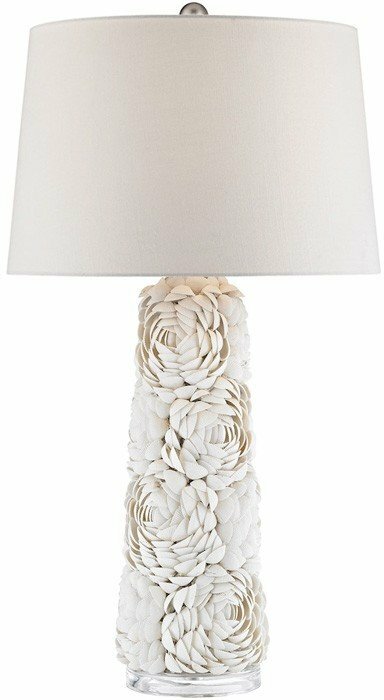 Our handcrafted Windley table lamp balances several notions of beauty, using the neatly ribbed texture of natural shells to emulate the soft delicacy of pillowy white bouquets. A clear acrylic base offers the freshness and clarity of pure water. Satiny metal finial. 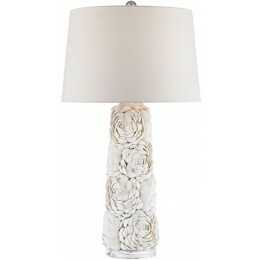 Textured linen shade.